We’d love your help. 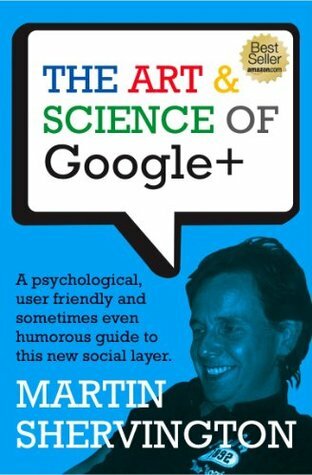 Let us know what’s wrong with this preview of The Art & Science of Google+ by Martin Shervington. Are you new to Google+ or someone looking to take things even further? Well, this book is a complete approach to Google+, the "social layer". Everything from the subtle psychology involved when "posting" through to how to make the most of "hangouts". In essence, Martin has applied 15 years psychological training and sprinkled it with a healthy dose of humour! Google+ is a social layer, not just a social network. As such, it takes a little while to understand this new concept. But you will with a little expert guidance. Everyone wants to make their life a little easier when learning something new, don't they? Well, this section is the condensed essence of hundreds of hours of study and practice by Martin on Google+. There are tips on how to get started, how to increase the chances of people following you, apps you will find handy to download and so much more. This is the basics in a way that is easy to understand and apply. This section gives you a view of the culture of Google+ as well as how the social layer is beginning to affect much of the web. It covers the stage we are at in adaption of a new technology, explains why connecting "feels good" and enables you to appreciate the dance you have whilst communicating on the platform. It is also aimed at showing you how to 'be yourself' even more. • Section 3: More tips and tools once you get going! Taking aspects of Permission Marketing and the latest new emerging approaches to circle management, this section will enable you to have leading edge skills on Google+. You will learn how to build up your own niche mailing lists, encourage engagement on your posts and build up relationships even more, and 'seed' the platform with valuable niche circles other people will appreciate finding later on. In other words, these are skills that could pass you by if you didn't otherwise know! This section is truly some of the most advanced information you will get on Google+ Few people have consistently trended topics within one day. Martin will show you the value and importance of the 'What's Hot' list as well as the concept of trending. If you want to understand how to make things go viral on Google+ then this is a must. This section will give you new insight into human communications within Google+. During months of analysis, Martin has pulled together many different psychological theories and applied them to the platform. When you understand what it really means to connect, engage and relate to people on Google+ you will be able to develop a fuller map of the social layer. This is a deeper section but one that has a lot of skills you will also appreciate having in your tool kit. • Section 6: The Future? To ask other readers questions about The Art & Science of Google+, please sign up. Reads like a disjointed collection of Forbes articles with little-to-no pyschological or technological insight; simple anecdotal and communal "how-to's."